Seema Chaturvedi, Chairperson, Project AIRSWEEE, A US State Dept. & TiE Global Women Entrepreneurship Initiative Managing Director, Accelerator Group LLC Email: seema@agroupllc.com Biography: Ms. Chaturvedi has over 20 years of capital markets and financial management experience. She has guided middle market companies in defining growth trajectories and implementing financial strategies to create stakeholder value. As an entrepreneur, investment banker and investor, she brings a unique perspective to the strategic planning process. She is the founder and managing director of Accelerator Group, LLC, an investment banking and strategic advisory services firm. Prior to this, she has worked with Amherst Partners, LLC, Shearson Lehman and JM Financial Services (later JM Morgan Stanley-Indian affiliate of Morgan Stanley). Ms. Chaturvedi is extremely passionate about promoting entrepreneurship. She co-founded and is past president of the Detroit chapter of TiE, an organization to foster entrepreneurship in 2002. She was elected to the Global Board of Trustees of TiE Inc. in 2006. She founded and leads as chairwoman TiE Global’s marquee women’s entrepreneurship program: Project All India Roadshow for Women’s Economic Empowerment through Entrepreneurship (AIRSWEEE), for which she obtained funding from the US Department of State. Following its successful execution, Ms. Chaturvedi led the application and obtained funding for a second year from the US State Department, totaling a cumulative grant of $270,600 from the US State Department. Over the 2 years, this program would have cumulatively mentored 575 women from nearly 57 Tier 2 and 3 cities in India. As an impact outcome of AIRSWEEE, under Ms. Chaturvedi’s leadership, Accelerator Group is now spearheading the launch of an early stage women entrepreneur focused fund, Achieving Women Entrepreneurs (AWE) Fund I. As a prolific speaker, Ms. Chaturvedi was invited to US Department of State’s US Speakers Program in 2017. Additionally, she has participated in several international conferences as a speaker and panelist including Mackinac Leadership Conference, IFC Healthcare Conference, Pravasi Bharatiya Divas, TiE Summit and Private Equity in India conferences. 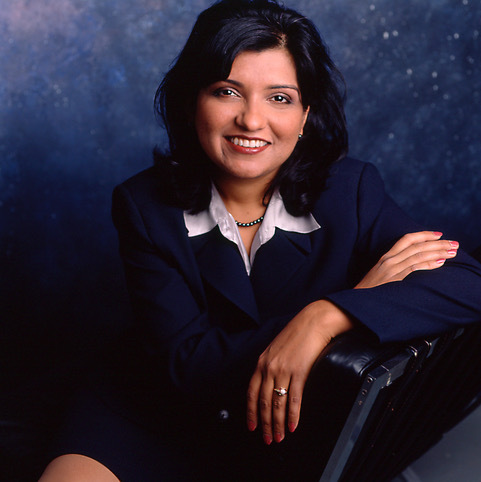 To support economic development, Ms. Chaturvedi has been a founding member of the Great Lakes Manufacturing Council, and has served on several boards including co-chairing Michigan IT Summit, Marygrove College in Michigan, International Business Council at Automation Alley. She currently serves on the Economic Advisory Council (EAC) of Center for American Progress, Washington DC based progressive think-tank, the boards of TiE Detroit and the Miami-Dade Urban Debate League. Award for promoting Women Entrepreneurship by TiE Global. Ms. Chaturvedi holds a Masters degree in Finance from Boston College and an undergraduate degree with honors in Economics from Lady Shri Ram College of the Delhi University in India.